Please go to the link below to listen to an interview of Trisha on the Awakened Goddess show with Angela Wilkinson. 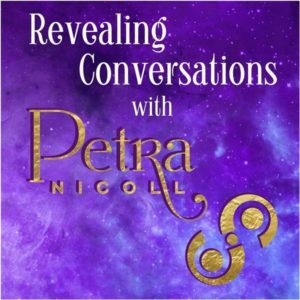 Please go to the link below to listen to an interview by Petra Nicoll on Blog Talk Radio. 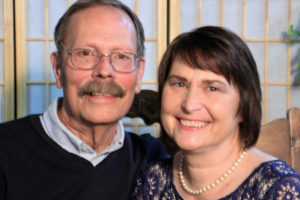 Petra interviewed Trisha and Mike on her show called “Revealing Conversations.” They had a great time discussing: How the Angel came to Trisha and her subsequent development, how Mike and Trisha came to work together with the help of Archangel Raphael, the creation of their business and their book “A Journey of Discovery Through Intuition With Help From the Angels.” Enjoy the show. There are many channeled messages from Trisha and Archangel Raphael that are available on our YouTube channel. These in depth messages from Archangel Raphael on various spiritual subjects are profound in their delivery and content and will help you to understand not only you, but the world around you in physicality and spirit. Archangel Raphael came to us five years ago to develop a channel for his messages. 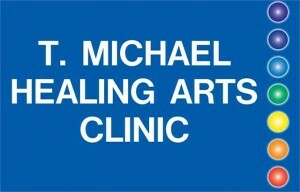 Not only do we have short messages on our T Michael Healing Arts Facebook page, but we have videos on our T Michael Healing Arts YouTube channel.http://www.youtube.com/user/tmichaelhealingarts. map to site Our clinic is located at 12525 SW 2nd St, Beaverton, OR 97005. We are above the well known spiritual store “Crystal Heart Bookstore”. 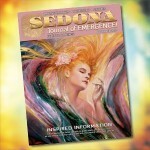 You can go to http://www.crystalheartbooks.com/home to see their many offerings. Celebrate experiences – create new awareness and understanding to the events of your past rather than holding onto the pain story or trauma these events might hold. Integrate life experiences to heal karmic issues and clear karmic contracts that souls carry that no longer honor your spiritual path. Strengthen your spiritual core to remember your Divine path and Inspire your Divine spark. Trisha Michael is now a regular contributor to the Sedona Journal of Emergence featuring her channeled messages of love from Archangel Raphael.